We took our best-selling 70X lab analyzer and gave it a brain — introducing the 70Xi with intellinostics. Still the same ASTM methods. Still the best precision and fastest speed. Still the world’s only fully automated pour, cloud and freeze point analyzer. One touch is all it takes! A new faster multiprocessor and touch-screen user interface makes it quicker and easier to perform tests. With an autosampler, automatic sample injection and self-cleaning eliminates the need to individually pipette and clean after every test. Built-in alert messages give you troubleshooting options to quickly resolve issues. In-depth system diagnostics verify performance and detect potential sample problems. On-screen tutorials guide you and provide helpful information. You made a quantum leap when we took you from manual pour, cloud and freeze point methods to the first ASTM automatic methods in 1989. Now, Phase Technology launches your next big jump forward — the new Phase Technology 70Xi analyzer. Phase Technology designs, manufactures, sells and services test instruments to measure cold flow properties. In fact, Phase Technology remains the only manufacturer with current, valid automatic ASTM test methods for all three cold flow properties. Precision: Phase Technology consistently ranks highest for repeatability, reproducibility, sensitivity and equivalency to reference manual test methods. Reliability: Phase Technology customers all over the world depend on their analyzers to function 24/7, giving them highly repeatable results. 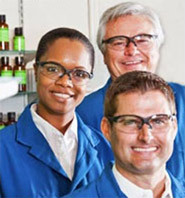 Trust: Phase Technology analyzers give you tools to validate your test results for complete confidence in your numbers. *ASTM International is a registered trademark of American Society of Testing and Materials.